NESTEA is on a light-hearted ‘social’ mission to help people, especially young adults, to not sweat the small annoying stuff. Thanks to the calming and uplifting power of tea, NESTEA can help us take a step back – help us brush off the daily niggles, instead of letting them get the best of us. 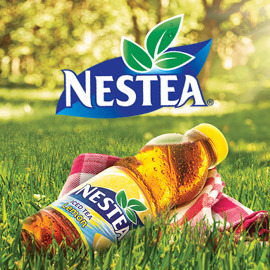 Most people don’t think of tea as this helping hand, but NESTEA wants to change this. Create a humorous and light-hearted social media post (picture and text) to help NESTEA remind young adults who can’t see past daily niggles that, after all, life is great! Send us your entries by September 27th and win up to €10,000!